Many students find that transferring credits to another school can be a hassle. It is time-consuming, stressful and often frustrating. Things are always harder for immigrants — or so it seems. The art of transferring credits, which is already hard for most students, is nearly impossible for people in my position. As a student fresh out of high school, I had grand expectations of starting a new stage of my life at the University of Utah. I applied early as a resident (because I had lived in Utah for more than four years, I guessed that made me a resident) and sat patiently, hoping for that letter everyone gets anxiety waiting for. My letter never arrived. Two months later, when everyone else had posted their admission letters on social media, I started wondering what I had done wrong, so I checked my application status. 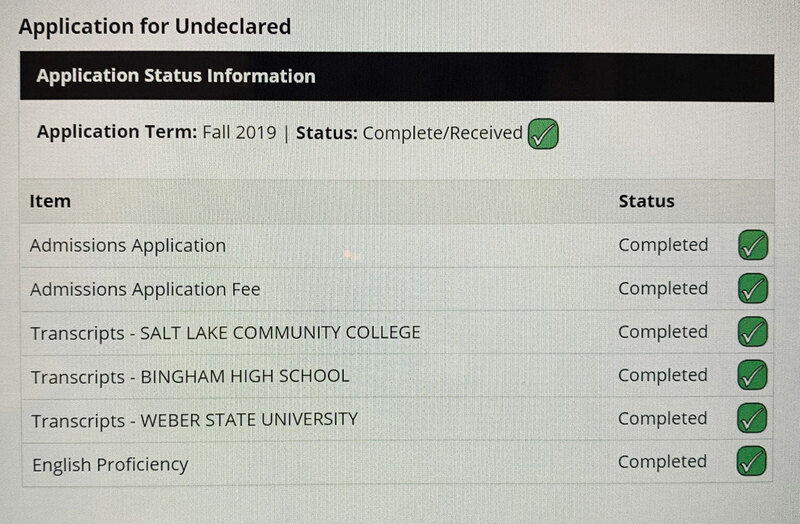 All I’ll say is I gave up and changed my plans, never finishing my application, and attending Salt Lake Community College instead. Though unprecedented, coming to SLCC was an amazing decision. I saved money, grew wiser and built up courage to try transferring to the U for Fall 2019. This time, I didn’t give up. I kept track of my application like a hawk, looking at my checklist every day and wondering what would come next. I found out all the reasons why it was so hard to apply there in the first place, thanks to my diligence. In Utah, there is a piece of legislation that no one warns people about. I only found this extremely important information because I called the Admissions Office and had them tell me about it. For all my “international” colleagues, know this: If you are an immigrant that has had your Green Card for less than 5 years, you must apply as an international student, go through the international student criteria for admission, and suffer all the while. I have earned the right to use the word “suffer”. I have called the University of Utah Admissions Office three times. First, I called because they needed a photocopy of my Green Card. During the phone call I found out I was an International Transfer Student. I asked what else they needed from me, and they said nothing. As I ended the call, a new required action popped up on my screen: an English proficiency test. If you are reading this article, you must know by now that the writer is capable of writing in English. I graduated American middle and high schools, and on my high school diploma, I received an honorable mention in English. All these achievements were clearly stated on my application and on my transcripts. I called again. Although I was angry, I was treated with the utmost respect by the person that spoke to me on the phone. After explaining my position, I was told that for my application to be evaluated, I had to take an English proficiency test (a paid test, mind you), or wait until I passed my English 2010 class with a C or higher. Even though I tested out of English 1010, those were the rules. After solving that conflict, I waited two weeks before calling again. The issue? My transcripts (sent two weeks prior) were not showing up on my checklist. Here is another issue that immigrants often face, especially Brazilians like me: our names. I have two first names, two last names and no middle name. However, not all schools saw it that way. Right away we discovered the problem; the computer didn’t know Ana L. Ramos and Ana Luiza Figueiredo Ramos and Ana Luiza F. Ramos were all the same person. Wondering how things have turned out? I can’t say yet. As of January 11, 2019, the application says complete and ready to be reviewed. I have no idea how long it’ll look that way, or if it’ll change again. Maybe tomorrow something else will pop up. This time, I will not be intimidated by a little red square with an X. When and if you try to transfer, remember this story. Things might go wrong, but they will never go as wrong as this. The key to success is to pay attention and keep on top of everything; the interest is yours to go to that school, not the other way around. I hope I have warned some undergraduates, and I hope my mistakes are not repeated by others who simply didn’t know all the rules of the game. To all the students looking to transfer this year, may the odds be ever in your favor and may the force be with you.